BMW Motorsport and Belgian driver Maxime Martin announced today that they will be parting ways starting with 2018, thus bringing to an end the tenure of Martin. 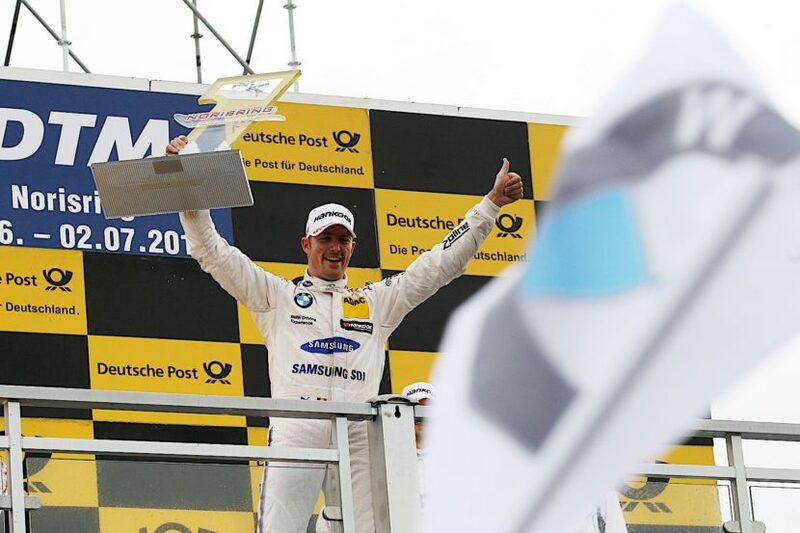 Since joining BMW in 2013, Martin has been an important part of the BMW Motorsport efforts in a variety of events, from the DTM to the 24-Hour Spa-Francorchamps endurance race, where he even managed to claim a win. Martin started out as a regular driver for BMW Team RLL in the American Le Mans Series (ALMS) in 2013. The following season, the Belgian made his debut in the DTM. In doing so, he followed in the footsteps of his father Jean-Michel, who drove in this series for BMW in the 1980s. Norisring (GER) 02nd July 2017. BMW Motorsport, Race 8, Winner Maxime Martin (BEL), Bart Mampaey (BEL) Team Principal and BMW Team RBM celebrate the win. “I would like to thank Jens Marquardt, Adam Baker and Rudi Dittrich who believed in me five years ago and offered me the opportunity to join BMW as a works driver. I think without this everything maybe would have been different. But you sometimes need new challenges and changes so I decided to leave for a new challenge. I am looking forward to what awaits me but it was a great time with BMW and I want to thank everybody involved in it,” he added. In 64 races, Maxime Martin claimed three victories and ten podiums in total. 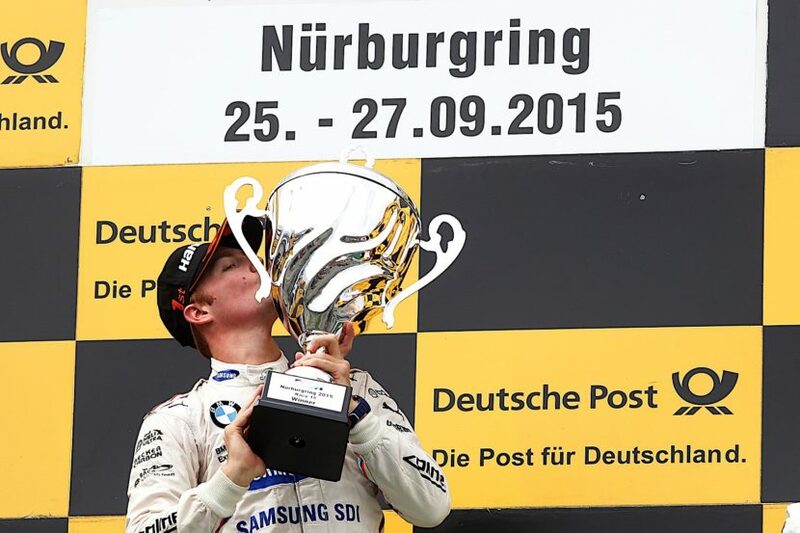 He started from pole position on three occasions and ended the DTM season seventh overall twice (2014, 2015) and eighth twice (2016, 2017). Martin also claimed numerous GT victories with BMW. The highlight of his career so far came in the form of victory at his home race – the 24 Hours of Spa-Francorchamps (BEL) – with the BMW M6 GT3. Moscow (RU) 13th July 2014. 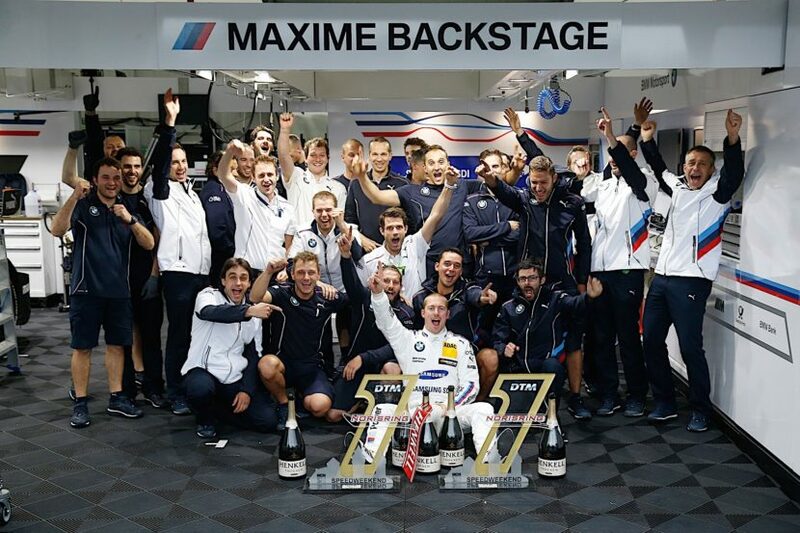 BMW Motorsport, Winner Maxime Martin (BE) SAMSUNG BMW M4 DTM. The is image is copyright free for editorial use © BMW AG (07/2014).